What is the contest about? Send us a picture of the sky where you are currently spending your summer – using the hackAIR app. You’ll get a quick estimate of the air quality at your location – and the best pictures will win a hackAIR air quality sensor! In your picture, we want to see what air quality means to you: be it good, bad or ugly, close to your home or far away. Where do you encounter good air quality? Where is it bad? Remember to always include a portion of the (cloudless) sky – so that we can give you an air quality estimate. We are really excited to see your contributions! If you haven’t downloaded the hackAIR app yet, do that right away here. Find the right spot and timing for your photo! Remember not to take pictures close to sunrise or sunset (as this makes it challenging for the platform to analyze your photo). 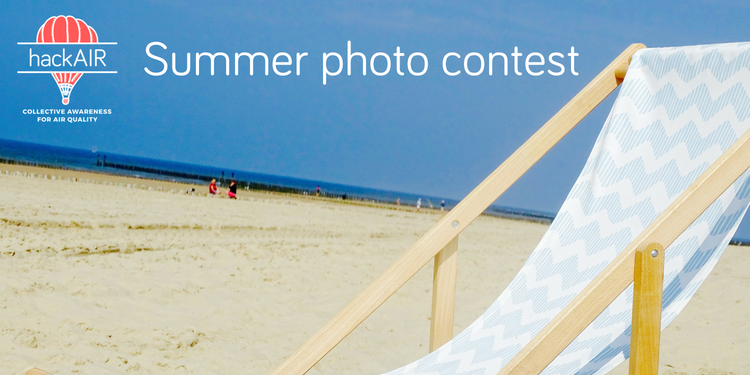 Every sky photo submitted through the hackAIR app between now and the end of August will enter the contest. You can upload as many photos as you wish. A jury of hackAIR partners will decide on the winning photos in early September. You will receive an email when you are one of the lucky winners! You are giving hackAIR the right to publish your uploaded photos through the hackAIR website and hackAIR social media and newsletter. We will publish the winning sky photos in our September newsletter. The jury will choose three winners. The first winner receives two hackAIR sensors: a mobile sensor AND a home sensor. The second prize is a mobile sensor. The third prize is a home sensor.